Foot cramps are caused by painful, intense, involuntary spasms of the muscles. They are usually short-lived but can be really unpleasant and recovery can take a few days. Foot cramps most commonly occur in the arch of the foot but people also complain of toe cramps and calf muscle cramps. They are often caused by fatigue, reduced levels of certain chemicals, hormonal factors and illness. Cramping can occur any time day or night and are often associated with exercise. Anyone can get them but they become more common over the age of 80. Here we will look at the symptoms, causes and treatment options for calf, toe and foot cramps. To understand what causes toe, foot and calf muscle cramps, we need to know how muscles works. All muscles work in pairs – an agonist and antagonist. In order for them to work properly, as one muscle (agonist) contracts, the other (antagonist) relaxes to allow a smooth, controlled movement. 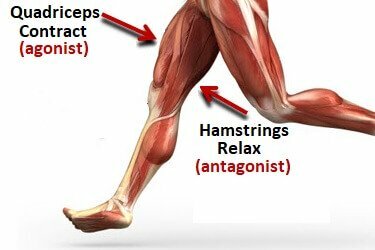 For example, when running, the quadriceps (agonist) contract while the hamstrings (antagonist) relax to extend the knee and bend the hip to swing the leg forwards to land. If the antagonist muscle doesn’t relax properly, cramp develops. Alternatively, if a muscle contracts suddenly, with great force and then can’t relax, cramp can develop. Leg cramping in the calves, feet or toes affect approximately one in four people over the age of sixty, increasing to one in three over the age of eighty. Foot cramps are usually accompanied by sharp, intense pain and the muscle may feel “knotted”. Cramp most commonly occurs in the arch of the foot, toes or the calf muscles. They may last for just a few seconds, or may continue on and off for a few days. Cramping in toes may cause them to curl over each other. Sweating reduces the levels of calcium, potassium and magnesium. 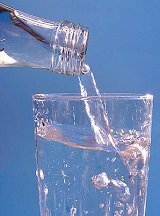 Smoking and excessive alcohol intake also increase the risk of dehydration. Nerves transmit the signals from your brain to the muscles, telling them when to contract and relax. If a nerve is damaged e.g. pinched, signals cannot pass through properly correctly resulting in foot cramps. Cramp may be a sign of an underlying health condition. Conditions such as Diabetes, thyroid problems, anaemia, Huntington’s Disease, Parkinson’s all increase the risk of foot cramps. Some medications can cause cramping as a side effect in the legs or feet. One of the most common is Diuretics, commonly known as water pills. These increase urine production that can cause an imbalance of calcium and potassium, resulting in foot cramps. Long periods in the same position (e.g. sleeping) reduce circulation to foot. This reduces oxygen levels in the muscles leading to cramp. Can result in muscle weakness and obesity, both of which increase the risk of cramp. Tightness in the calf muscles can cause calf cramps and tightness in the foot muscles, especially those running under the sole of the foot, can cause foot and toe cramps. If you have been over-working your muscles, e.g. too intensely or for too long, or your body is generally fatigued, you are more likely to develop cramp. Athletes and dancers who place more stress on their feet are more prone to foot and toe cramps, runners are more prone to calf muscle cramps. Foot cramps, especially at night are common in the third trimester of pregnancy due to pressure from the uterus on the veins bringing blood up from the legs. Foot cramps often develop at night due to decrease circulation from staying in one position and dehydration, most commonly in the calf muscles. This is most likely due to people sleeping with their knees bent and feet pointing down which places the calf muscle in a shortened position. Trauma often causes the muscles to spasm to protect from further damage e.g. calf muscle cramps often develop if the calf muscle has been overstretched and/or torn as a protective mechanism to prevent further injury. Whilst this is helpful in the short term, symptoms sometimes continue longer than necessary. Wearing high heels or narrow, pointed shoes can increase the risk of toe cramps by squashing the feet. The exact cause of cramping in toes and feet is often difficult to define and maybe due to a combination of these factors. Applying heat either via a heat pad or warm water can help relax muscles, improve blood flow and reduce pain. Massaging the affected area helps the muscles to relax, therefore reducing the symptoms of foot cramps. Massage works by increasing the circulation to the muscles, thereby increasing the blood flow, oxygen and nutrient levels as well as taking away harmful waste products such as lactic acid. You can reduce calf muscle cramps by massaging the muscles on the back of the calf from the ankle to the knee, and reduce toe and foot cramps by massaging the ball of the foot. There are various different foot cramp massager products on the market that you can use to massage your feet so that your hands don't have to do the hard work! Make sure you are wearing suitable shoes when exercising that fit well and support your feet. Reduce foot and toe cramps by steering clear of high heels or shoes with a narrow toe box everyday – keep them for special occasions. Many people find that wearing toe stretchers for an hour or so each day reduces the frequency of foot cramps. Toe stretchers help to stretch out the muscles and ligaments around the toes, and improve the alignment of the bones. You can find out more loads more in the Toe Stretchers section and read user reviews. Stretching is one of the best, short-term treatments for foot and calf muscle cramps. Gentle stretching at the time of the cramp helps alleviate symptoms, and regularly stretching helps prevent cramp from developing. Visit the stretches section to find out how to stretch the calf and foot muscles effectively. Always make sure pain in the muscle is from cramps, not from damage to the muscle as stretching a torn muscle could cause further injury. This helps prevent dehydration which is especially important in hot weather or if you are exercising lots to ensure the correct mineral balance. Eating a healthy, balanced diet helps ensure a correct balance of vitamins and minerals to allow proper functioning of nerves and muscles. Cramp due to poor diet can be rectified in just a few days. Whilst it is important to exercise regularly, exercising too much or too vigorously is not advisable. Always warm up and cool down before and after exercise. If you are new to exercise, start slowly and gradually build up the intensity so as not to overload your body. If sitting for long periods, keep your feet moving by circling your ankles to improve circulation to your feet. Improving the strength of the foot muscle can reduce the chances of toe cramps e.g. practice picking up marbles with your toes. You can reduce the risk of calf muscle cramps by repeatedly rising up on your tip toes to strengthen your calf muscles. Visit the Calf Workout section for a whole range of exercises to strengthen the calf muscles and reduce the risk of developing foot cramps. 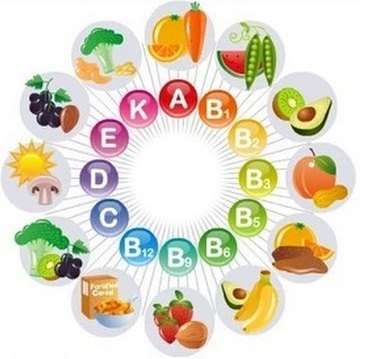 Blood tests may indicate a deficiency of some vitamins and/or minerals in which case taking supplements can help, such as magnesium. Always check with your doctor before taking any supplements, as they may have harmful side effects. In most cases, foot cramps are not serious and are rarely a medical emergency. But sometimes, they can be a sign of an underlying medical condition. If you are experiencing regular cramps in your hands or feet, consult your doctor. It is really important to get an accurate diagnosis. If you are having other problems with your foot as well, visit the foot pain diagnosis section for help working out what may be causing your problem and what you can do about it.